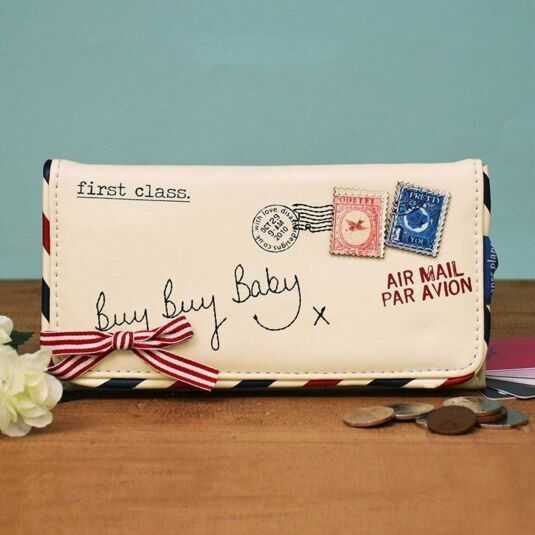 This is a beautiful Wallet from the Paper Plane range. 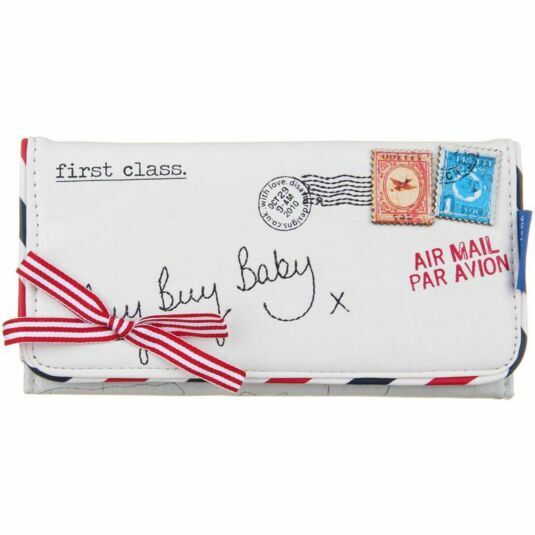 The front of the wallet features two stamps and a red and white striped bow as embellishment with the text 'first class' 'Buy Buy Baby' and 'Air Mail Par Avion'. This all adds to the wonderful style of an air mail letter and even has the blue, cream and red edging around the outside! 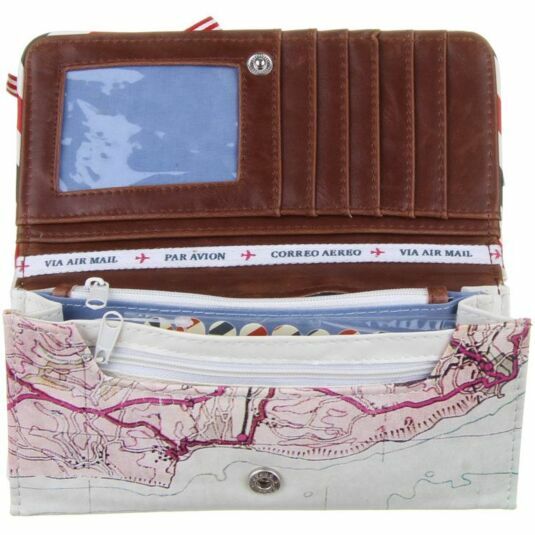 The back of the wallet has a map image which continues inside and is fastened with a popper. Inside the wallet is space for 5 cards and a photo, 3 compartments and 2 zip compartments with a brown faux leather lining. This is a perfect gift for those who love to travel or a great little treat for your own handbag. Dimensions: W 20cm x H 10cm (when closed) 21cm (when open) x D 3cm. 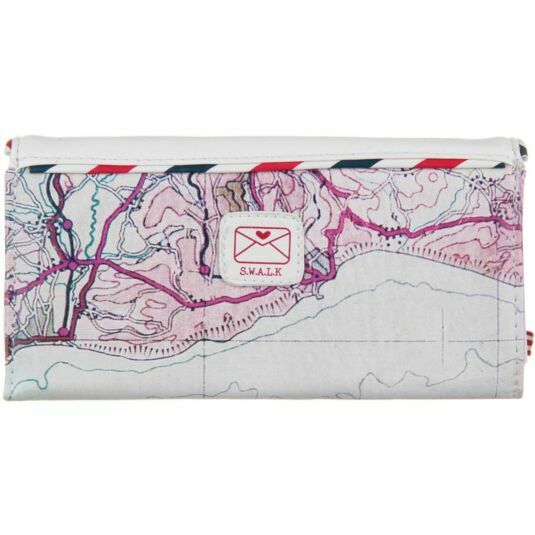 The Paper Plane range of bags and purses has a fun postal theme in pretty pastel colours that will turn heads and attract envious "Where did you get it?" questions.